Futon Cover designs are, and should be a personal choice. Your sense of style and décor is a personal reflection of you, and we know that many individuals have very specific ideas about how they want their futon furniture to look. Call us at the retail store (866–766–6362) and we will direct you to online locations where you can peruse their extensive futon cover fabric and pattern collections. They make a full lineup of accessories as well, such as matching bolsters and pillows in multiple sizes; and you can mix and match. 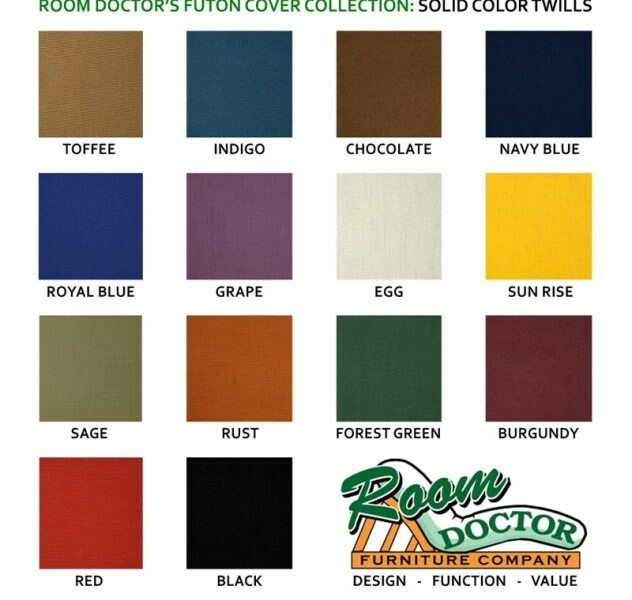 We can price anything you see on their sites, and we can get the custom futon covers you need in about 3 weeks time. 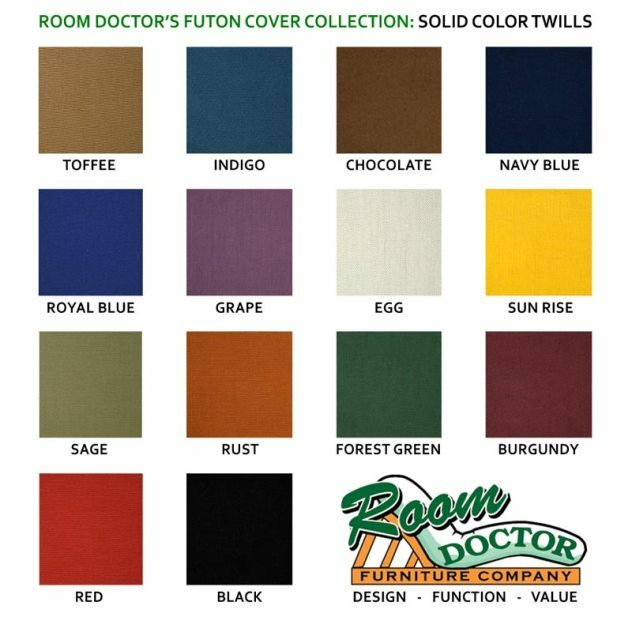 Here at Room Doctor we have such a variety of covers in all sizes for your futons that your options are virtually unlimited. However, our in–stock covers change so frequently that it would be impossible to list them all here. If you are in the State College, PA area, please come to the store! Everything we have in stock is on display.